Richard Brail was a Professor in the Urban Planning and Policy Development Program. He had been head of the Urban Planning three times in his thirty-year career at Rutgers. He was the founding director of the National Transit Institute at Rutgers, and brought the Hubert Humphrey Fellowship Program to the school. Professor Brail has had a leadership role in the development of computer technology, and wrote one of the major early texts focusing on applied computing in planning (Microcomputers in Urban Planning and Management). He was also co-editor of Spreadsheet Models for Urban and Regional Analysis, a collection of planning application spreadsheets designed with a common user interface. 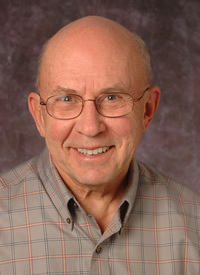 His edited work, Planning Support Systems,was the first major publication to contain the work of leading scholars focusing on this emerging area of research and application. He held visiting appointments at the University of California, University of Hong Kong, and Institute of Technology, Bandung, Indonesia. Former chair of the Middlesex County Transportation Committee, Professor Brail served on numerous national, state and local committees and was the recipient of the Presidential Award for Distinguished Public Service by Rutgers University.